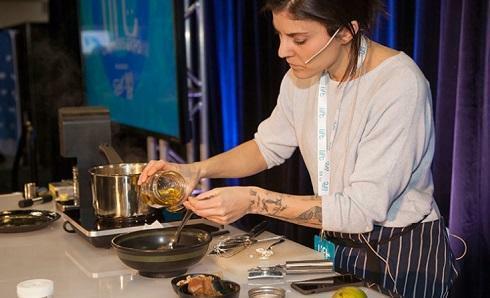 Diandra Phipps is on stage at the Vancouver Convention Centre demonstrating a vegan poached pear recipe that packs an extra zing. Along side the star anise, sweet Muscato wine and caramel date sauce is small jar of coconut oil infused with White Widow, a high-THC cannabis strain sold by Tilray, one of Canada’s licensed medical marijuana producers. Phipps, a young raven-haired chef from Halifax, apologizes for not being able to share the finished product.